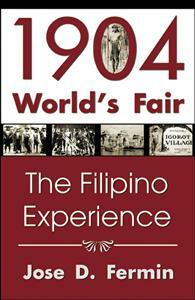 An impressive, thoroughly researched book, revealing for the first time the sad experience of the native Filipinos at the 1904 world’s fair—and in the expositions before and after it. In 1904 the Americans exhibited over 1,100 native Filipinos, including Negritos, Igorot, Moros and Visayans, at the Louisiana Purchase Exposition in Saint Louis, Missouri. Dubbed as the “largest and the finest colonial exhibit,” the Philippine Exhibition, though a huge success, proved controversial because of the racist and imperialistic features of the fair, and the stigmas it inflicted on Filipinos—a disgrace that, after a hundred years, is still felt. Mr. Fermin’s impressive, well-researched book unearths new and explosive historical materials pertaining not only to that fair but also to those expositions held during the American colonial rule in the Philippines.